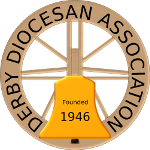 The annual subscription paid by members of the Derby Diocesan Association of Church Bell Ringers includes a premium for insurance. Members should assess whether the cover shown below is sufficient for their needs, and, if necessary, they should take out additional policies on their own account. Effective Time: Whilst ringing, instructing, inspecting or doing any work of any description on towers and/or bells and/or fittings and framework. Read the Policy Schedule for more information (the larger limits on page 3 do not apply to individual claims). To avoid ambiguity, pupils should be proposed as members of the DDA as soon as they qualify for membership (i.e. they can ring rounds to the satisfaction of the District Ringing Master). The premium has been accepted on the understanding that no work at height is over 8m and only minor repairs are being carried out on the bells with major repairs being carried out by third parties. Working at height is above the floor of the room being worked in and NOT above ground floor level unless working outside. Minor repairs covers removal and replacement of clappers, but excludes any work which involves lifting a bell. If you are volunteering to assist with a major restoration, you are not covered by this scheme, and should make your own arrangements. It is essential to make sure that any third party doing any visit or work in a ringing chamber, bell chamber or related areas has their own Public Liability Insurance and Employer’s Insurance. If you are assisting, you may be deemed to be under the instruction or guidance of the third party and therefore not covered. Clarification should be sought from the third party prior to the commencement of any relevant work. Read the quotation for more information (the policy schedule should be available soon).